Hello, this tutorial shows how to work with Cherry Lazy Load Boxes Plugin. custom_class – allows you to add a specific css class that you can use further for style modifications. 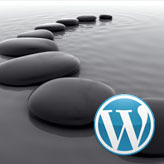 This entry was posted in WordPress Tutorials and tagged box, Cherry, lazy load, plugin, WordPress. Bookmark the permalink.